Apple has made their technology releases an annual event and causes a lot of hype. As of today the cover has been uncovered and they came out swinging. 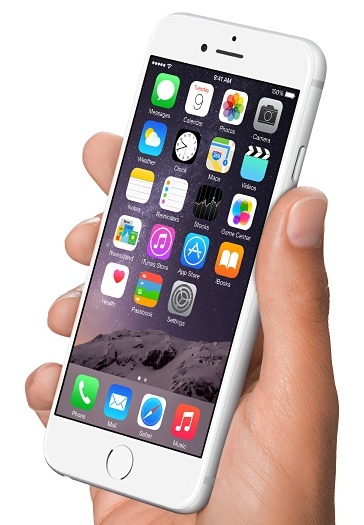 Two major upgrades and a completely new item has emerged, enter the iPhone 6, iPhone 6 Plus, Watch & iOS 8. Because of the major announcement at 1pm ET, trying to report on the keynote as it was going on was tough. But now that the dust has settled, we can point out the obvious and important factors. I can also point out what I disagree with (I do own a iPhone 5s, don’t shoot me). First off, the design is the first noticeable change. It may not be a complete redesign but it is a very appealing device. The rounded edges (more than the 5 & 5s), re-positioned buttons and gorgeous glass are entrancing to the retina…..not the display. The thickness has been decreased a smidgen, but it is noticeable side by side with the 5S & 5C. It does not seem to take away from the structure strength whatsoever. Since the last iPhone release, 3 color variants will be released, Space Grey, Silver & Gold. The new models will also come with Retina HD display which improves on pixel resolution & contrast ratio. Because of the larger displays it would only make sense to go up. This also means the 6 Plus will be 1920 x 1080 at 401 ppi so it it will be true HD. While the 6 will be 1334 x 750 at 326pi so it will sit at 720p. Other visual upgrades are Display Zoom, Reachability & Dual Domain (wider viewing angles). Next up are the internals. The most obvious upgrade is the A8 64-bit CPU & M8 graphics GPU. The iSight camera has also been upgraded, although the megapixels will stay at 8MP the autofocus will benefit from Focus Pixels and OIS (Optical Image Stabilization) which is exclusively offered on the iPhone 6 Plus. Video Recording can now be shot at 30 fps or 60 fps, Time-lapse is now available and Slo-mo can now shoot 240 fps. In other words it gets really slow for a more dramatic effect. The Face Time camera also gets a makeover with improved face detection, f2.2 aperture & Auto HDR for photos and videos. This revision is chock full of new features and goodies, and in fact way to much to list. In fact you may have to go over to APPLE to see the full detailed list for the iPhone 6 & 6 Plus. Prices will start at $199 for the iPhone 6 & $299 for the iPhone 6 Plus. Unfortunately all 32gb models are no longer offered so it will be 16GB, 64GB & the new 128GB version. Pre-orders start September 12, 2014 and the Apple Retail Store will start sales at 8:00am on September 19, 2014. Check out the next Tech posting tomorrow to discuss iOS 8, Watch & if this should be your next purchase.